Jung’s meeting with the people of Taos Pueblo had a tremendous effect on him and permeated his life’s work and theory. It influenced how he thought and wrote about “the primitive.” But could he have been mistaken? And what might native people have to say about his ideas of them? This lecture will explore Jung through an Indigenous lens and offer alter(native) perspectives and stories about other ways we might read/understand Jung. Jeanne Lacourt speaks from the heart of her own experiences growing up on the Menominee Indian Reservation. We are invited to explore what Jung might term the “participations mystique”of the indigenous people of North America. Jeanne expands our perspective through her stories of human-animal transformation and trans-species psychology. Her work is deeply moving and has the power to connect us to the healing potential of the natural world. The stories in this work are alive and fill a place in our souls so often left empty. 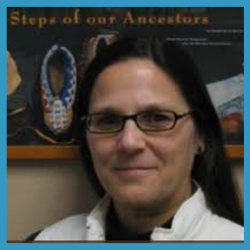 Jeanne Lacourt, Ph.D., MS, LPC, NCC, Ph.D., is a Professor of American Indian Studies at St. Cloud State University in Minnesota, a faculty of the Minnesota Seminar in Jungian Studies, and a Jungian Analyst in private practice. She has authored a book on traditional Indian Education and her more recent articles in Spring Journal focus on the intersections of Indigenous and Jungian Studies. She is most intrigued with the theme of human-animal transformation in Indigenous origin stories. Her home community is with the Menominee Indian Tribe of Wisconsin.